Most active Ohio fossil collectors are familiar with collecting at the shale-like limestone road cuts in the vicinity of Georgetown, Ohio, a proven bountiful resource for well preserved Ordovician age fossils. This classic Ohio fossil locality has been a long-time favorite among Ohio fossil collectors for two simple reasons; ease of access and a readily available abundance of good specimens. However, while fossil enthusiasts have been reaping the rewards of this old locality, mineral collectors have been missing out on a prime opportunity. Although this locality is not generally linked to any distinct Ohio mineral district, it has been known to produce a surprising assemblage of mineral species. It appears, mineral collectors have been trained into thinking that Ohio mineral collecting is limited to dolostone quarries in the Findlay Arch and Serpent Mound mineral districts. This misconception has allowed many Ohio collections to become stagnant and unable to grow, as quarry collecting is no longer regularly available and quality old specimens from classic quarry localities are becoming more and more scarce. Moreover, an Ohio collection replete with Findlay arch minerals alone is void of diversity and not truly representative of Ohio mineralogy. 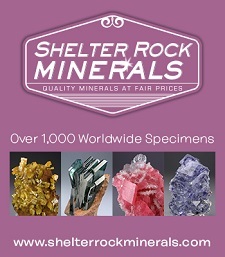 To build a more complete Ohio collection, diligent Ohio mineral collectors should seek this type of collecting locality. 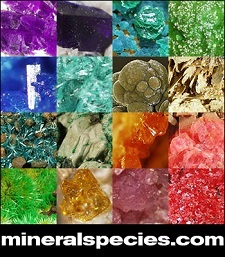 While the possibility of unearthing a museum size specimen from this locality is unlikely, the probability of recovering a quality locality example of several different mineral species remains quite high. Situated in the heart of Brown County, Georgetown is best known as the boyhood home of Ulysses S. Grant, who once remarked on the abundance of fossils in the local streams. 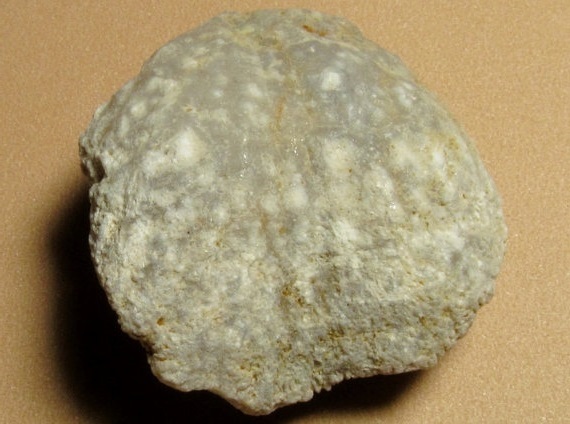 These fossils are found predominately in a large strata of thinly bedded limestone. In the 19th and early 20th centuries, Brown County farmers used this highly fossiliforous limestone to build uniquely stacked rock fences. Some of these fences served to pen livestock, while others were used to preserve the sparse soil. Many of these fences have withstood the test of time and can still be seen throughout the surrounding area. Due to the high relief of the area, most of the main roads to Georgetown began as toll roads. With the invention of the automobile, many of these roads had to be rerouted to reduce the number of curves and steep hills. The Hamersville-Georgetown road at Bald Point hill proved to be difficult to reroute. Engineers decided it would be best to cut through the hill and reduce most of the curves. In the 1920’s, construction of Ohio Rt. 125 had begun, but it was not finished until 1934. During the construction of the new road, many fossil specimens were collected and preserved in private collections and museums. This sparked a flood of collectors to the area in the 1930’s. However, the best collecting opportunity was yet to come. With heavier commercial truck traffic in the 1960’s, a better road was needed. It took approximately 4 years in the late 1960’s to cut a straight 4 lane road through Bald Point Hill. The removed material was leveled out and used to shore up the new bridge across White Oak Creek. The resulting road cut provided collectors with plenty of fresh material to explore. Currently, the best geodized brachiopod collecting area is a long high cut on the South side of Ohio route 125 West of White Oak Creek. The Ordovician shales and limestones at Georgetown are generally accepted as one or more members of the Bull fork formation. The Bull Fork formation encompasses the Waynesville, Arnheim, Whitewater and Liberty formations, however the rocks exposed at Georgetown are likely from the latter two. These rocks lie just beneath the Drakes formation all of which are members of the Mohawkian-Cincinnatian series, approximately 450 million years old. These rocks are exposed throughout much of Southwestern Ohio, South Eastern Indiana and North Central Kentucky, on the pinnacle of the Cincinnati Arch. In general, the bluish gray limestones and shales of this group are very thinly bedded and highly fossiliforous. The most recognizable of these fossil species are Brachiopods, Trilobites, Cepholopods, Bryozoa, Crinoids, Eurypterids and Horn Corals. Layers of this dense fossiliforous limestone up to 1 foot thick, but on average only 2 inches, are interrupted by a softer clay-shale. Little exploration has been conducted on the practicality of mining the clay-shale. A far superior clay-shale bed exists throughout much of Eastern Ohio. The limestone of this group is generally unsuitable for any aggregate or lime need as better and purer dolostones lie in the nearby Silurian age rocks.